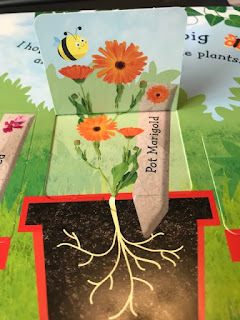 I asked to review these two books as they are aimed at readers who are dear to my heart, those new to gardening and who want to learn more and a superb little book to encourage children to garden. Whilst I did not pay for these books my words and opinions are of course my own. 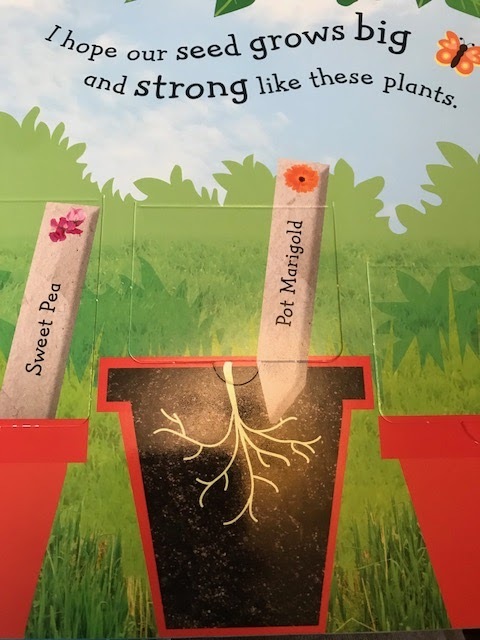 Both these books come from the Royal Horticultural Society stable and therefore have the quality of content and construction that you would expect from them. 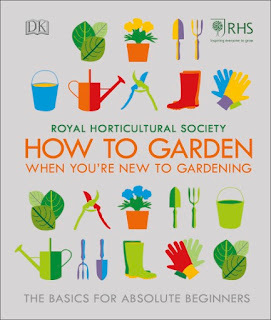 The Royal Horticultural Society How to Garden When You're New to Gardening has such a good title. It makes no bones about it is for absolute beginners and there are many absolute beginners out there. Personally I think it should start with the words 'Don't Panic', but a) that's The Hitchhikers Guide to the Galaxy and b) I think that most books should probably start with those words. 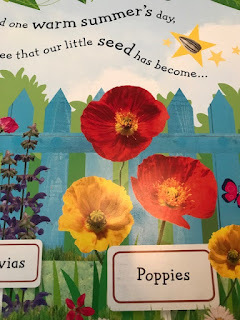 The book starts with the basics such as knowing which way your garden faces and then sets off to tell us how to sow seeds (indoors and outdoors), how to make a border (yes they use the hose-pipe trick, I love the hose-pipe trick). There is a guide to choosing shrubs, grasses, flowers and foliage and trees. There is a section on weeds, I always appreciate sections on weeds with good clear photographs to identify them. One of the hardest things I think in gardening is knowing what you might want to keep and what you want to discourage. The book is full of good clear photographs that show clearly what is being described. This is what is needed for beginners and, quite frankly, whilst I might not consider myself a beginner but I found a lot of it to be useful to me. 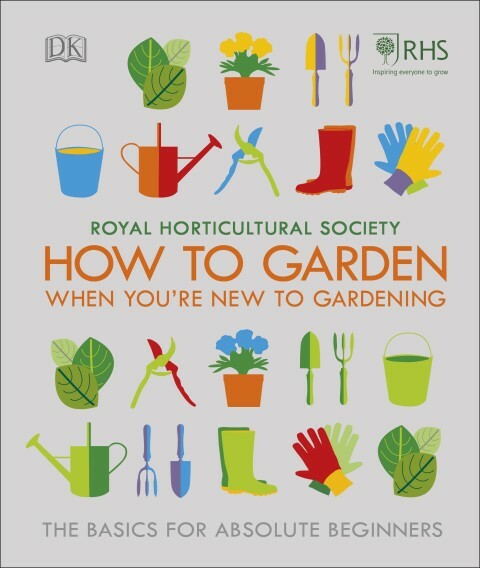 This is a good comprehensive book and a superb present for someone who is becoming interested in gardening or moving into their first home with a garden. 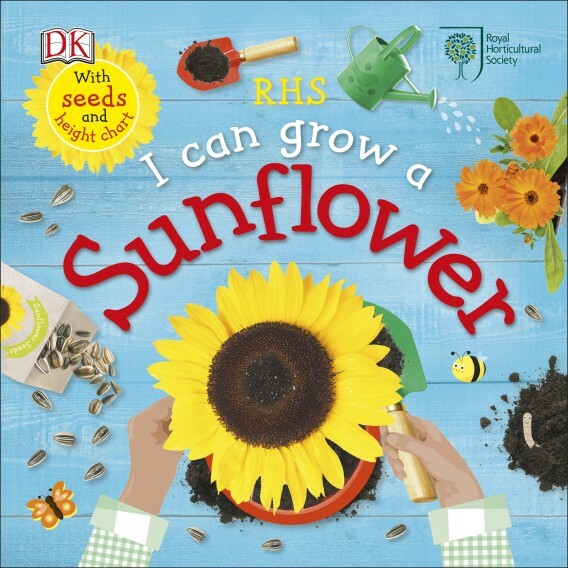 Royal Horticultural Society I Can Grow A Sunflower is designed to be a first gardening book for children. It is aimed at children between three to five years old. I think it could be read to children younger as well as it is designed to be read aloud. The book is made of thick card so that it is durable and easy for small hands to manipulate. 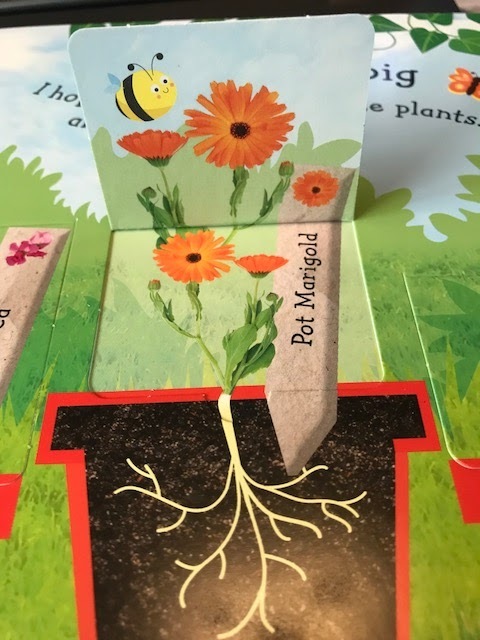 It is full of bright colours and talks you through how to sow seeds step by step in a straightforward easy to understand way. When my children were small they loved books like this with flaps. The book also comes with some seeds and a height chart so you can see how large your sunflower has got. This book is perfect for young children; it would make a great birthday present and I am sure it will help get children interested in growing things.